The rolling hills of Coorg (locally known as Kodagu) are as tranquil and as picturesque as they’ve always been. Here, the mountains and the rivers, along with forests of rosewood, plantations of coffee and cardamom and fields of rice, remain happily unaffected by the excesses of tourist-related development. Coffee, along with cardamom and pepper, are the mainstays of the local economy. But besides biodiversity, abundant nature and wildlife (wild elephants, among other members of the animal kingdom, are easily spotted; these amiable beasts are a sight to behold in their natural habitat), Coorg also boasts the incredible warmth and hospitality of the Kodagu people. The region has become something of a destination for adrenaline-seeking souls – it’s often known as the “Adventure Capital of Karnataka” – and offers trekking, rafting, kayaking, canoeing and camping, while also being a splendid getaway for birders and wildlife enthusiasts. For the most authentic Coorgi experience, base yourself at one of the many homestays around the region, most of them located on plantations estates (along with Kerala, Coorg pioneered the concept of homestays); owners can arrange for guides should you choose to go hiking. The ideal base for treks is Madikeri (also known as Mercara; 4265ft, 1300m), the administrative centre of the region, and a town dominated by the mausoleums of the old royals. The Kodavas are a martial people, proud of the fact that Coorg is the only kingdom in the history of India not to have been invaded, a tribute to a well trained army that confidently resisted several attacks by bigger armies in the region (including the forces of Tipu Sultan). And since Independence, the Kodavas have continued to serve India with distinction. Between 1834 and 1956, Coorg functioned as a princely state before it was absorbed into the new state of Karnataka. But Coorgis have often felt neglected by Bangalore, and over the years there have been voices calling for statehood to be reinstated, or for some form of local autonomy. Hilly Coorg lies in Karnataka, in the Western Ghats, around 100km west of Mysore and touching the Mysore plateau to the east. 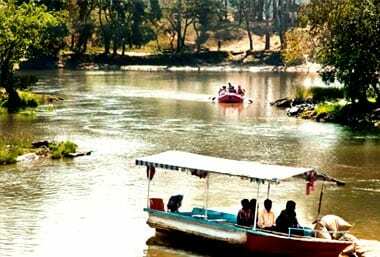 The River Kaveri is the main river flowing through the region. The climate around here is beautifully cool throughout the year. Summer highs rarely go beyond 34C, while winter nights can be nippy. 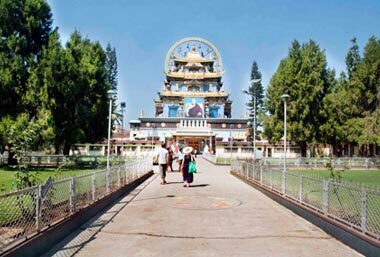 Madikeri, lying almost halfway between Mysore (120km southeast) and Mangalore (135km northwest) on the coast, can be reached by bus – from Mysore via Kushalnagar (3hrs). Mangalore is a bus journey of some 4hrs, with both state and private buses plying the route. The nearest airports are in Mysore and Mangalore (respectively, 130km and 140km from Madikeri), which also have the nearest railheads (the closest railheads in Kerala are Thalassery and Kannur).